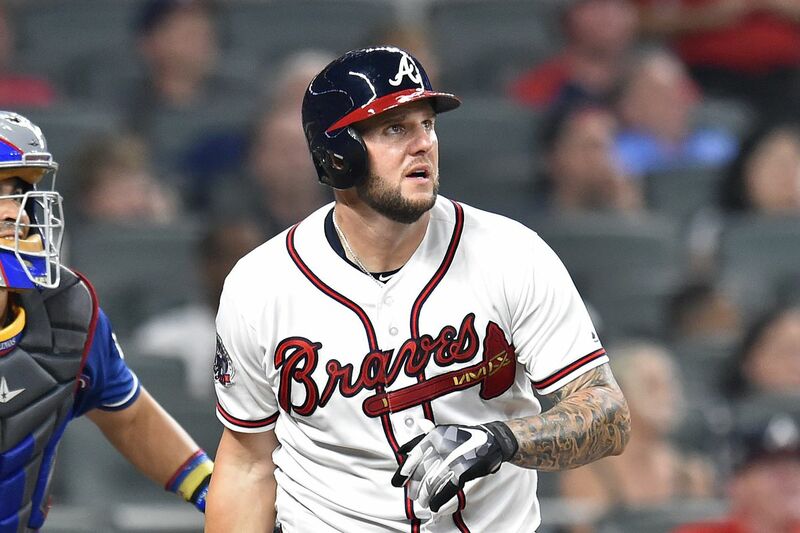 Matt Adams is an American who has become popular as a professional baseball player who has made a name for himself in the Major Baseball League playing for the Washington Nationals as a first baseman as well as a left fielder. Before settling with the nationals, he has also played for the St. Louis Cardinals and the Atlanta Braves since making his debut in 2012. Here is all there is to know about him. The MLB star was born Matthew James Adams on August 31, 1988, in Philipsburg, Pennsylvania. It was here that he was raised by his parents, Jamie Adams and Lisa Adams. He began playing baseball since he was a little child before even reaching the age of 5. His native home was a place that was known for the love of baseball and his parents also loved it so it was easy for him to cut through and make a name for himself. Popularly referred to as Big City obviously because of his intimidating build, he attended the Philipsburg-Osceola High School and from here, he moved to the Slippery Rock University. Like many other players, he played the sports for which he would later become very popular in both high school and college where he was a very important player and still remains with the records of .473 batting average and .754 slugging percentage. Professionally, he kicked off his career in 2009 after he made the year’s MBL Draft and was selected by the St. Louis Cardinals. In his days as a Minor League player, Matt Adams had remained a very important player. In fact, in 2011, he was the Minor League Player of the Year for the Cardinals just as he was also the Most Valuable Player (MVP) for the Texas League. In 2012, he got to make his major league debut after Lance Berkman got on the disabled list. However, with less than 30 games to his name, he would later return to the Minor League to play for the Memphis Redbirds. While playing for the team in the Pacific Coast League, he was also playing for the St. Louis Cardinals. Having remained with the Cardinals from 2012, he was traded to the Atlanta Braves for Juan Yepez who is a minor infielder in 2017. Adams didn’t get to play with the Braves for a long time as he soon moved to the Washington Nationals after signing a deal that would keep him with the team for a year. Looking at his stats, Matt Adams has played 639 games in his 7 years in the Major Baseball League as at the second half of 2018, with 2017 plate appearances. He has recorded 1,866 At batts, 229 runs, and 505 hits. More so, he has 311 runs batted in, 128 walks, and 462 strikeouts, just as he also has 88 Home Runs, 4 stolen bases, and a batting average of .271. Based on his contract with the Washington Nationals, Adams signed for $4 million in the year 2018. His only year with the Atlanta Braves saw him taking home a salary of $2.8 million and his last with the St. Louis Cardinals had him with the salary of 1.65 million. Between 2012 and 2015, the highest pay he got was $534 thousand while the least was $490 thousand in 2013. The nickname, Big City was given to the first baseman when he was with the St. Louis Cardinals after his teammates searched for a name for him before hearing someone shout it at him during a game. He got married in 2015 to his then-girlfriend, Carina Josephine Struble (now Carina Adams). She obtained a law degree from the Widener University, graduating as a paralegal. Not many people were invited to the wedding which was a very private event and there are no pictures of it in the public domain. As earlier stated, the name big city was given to Adams because of his body size. He is a man with height and thanks to workout, an athletic build. In numbers, he stands at a height of 6 feet 4 inches with a body weight of 245lb (190cm, 111kg). In order to shed weight, the man who was referred to as Fat Adams by opposing teams took to serious exercise and workout that helped him to shed close to 30 lbs at the start of 2017. Nonetheless, the routine which involved the use of Pilates began in 2016.